MOSCOW (Sputnik) – According to the Kathimerini newspaper, the local authorities also said that two people had been arrested on human trafficking charges. Lesbos is one of the major centers for receiving undocumented migrants and refugees coming from Turkey. So far, the number of asylum seekers stranded on the islands of Lesbos, Chios and Samos amounts to some 8,600. 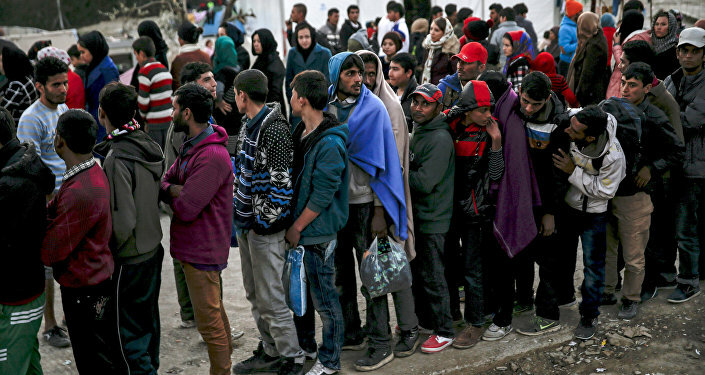 Europe has been beset by a massive refugee crisis, with hundreds of thousands of undocumented migrants fleeing their home countries in the Middle East and North Africa to escape violence and poverty. The majority of them arrive through the Turkish territory.